Perennial favourite Carmen returns as a rare autumn blossom, with additional generous touches from Opera Australia making this an immersive night out at the theatre. Atmospheric live music warms the audience before entry, with the party really kicking into high gear with complimentary sangria and tapas at interval. 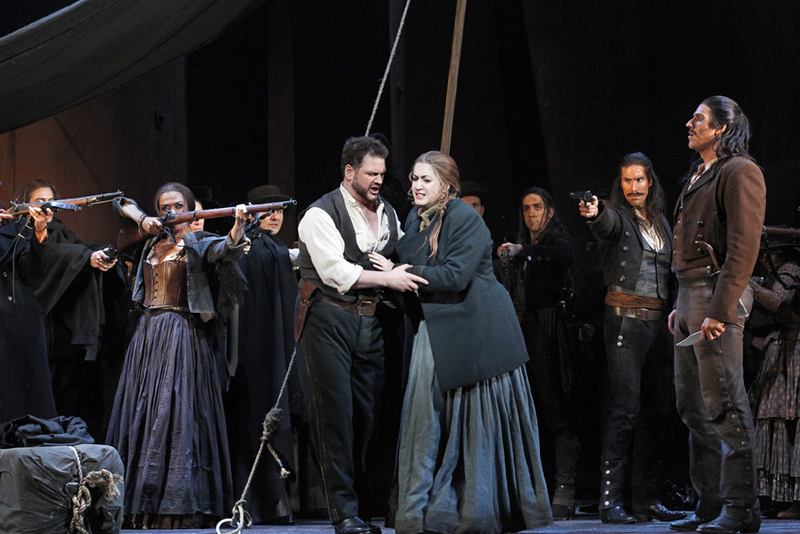 The rich amber tones of Francesca Zambello’s 2006 staging make a welcome return, the production’s impact not lessened in the least by last year’s Handa Opera on Sydney Harbour: Carmen. Before commenting on the artistic aspects, it is well worth pointing out highlights of Zambello’s direction, a clear highpoint of which is the chorus direction. The opening town square scene features such a distinct and purposeful use of chorus members that I rate it as the best I have seen in any opera in 25 years. From here, the chorus only go from strength to strength, as the tavern, smugglers’ lair and toreador parade come to vivid life (despite the absence of children, which are plentiful when Royal Opera stages this same production). Forget dressing everyone exactly the same, this mix of old and young, rich and poor, soldiers and civilians is far more fascinating. Full credit to revival director Matthew Barclay for expertly recreating these scenes. On top of this detailed acting, the chorus sing with ever reliable sweetness and strength, their diction and expression as strong as any principal. Congratulations to Anthony Hunt for excellent preparation across all four Melbourne Autumn operas. Excellence in choral music is matched by a thrilling rendition of Bizet’s immortal score from Orchestra Victoria. Conductor Brian Castles-Onion sets a clipping pace from the first upbeat, but his most impressive achievement is avoiding the temptation for loudness. The gentle volume assists the rapid playing and allows the full beauty of the music to be heard with lovely clarity. 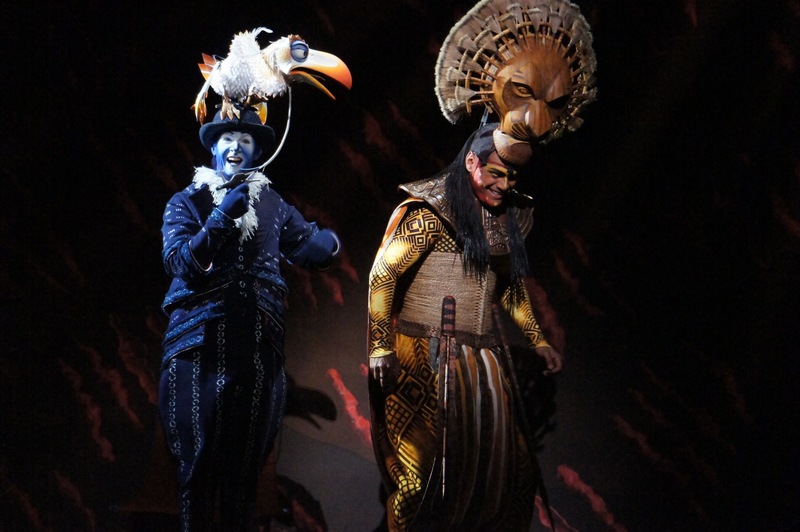 The hot, dusty picture painted on stage clearly stems from a single creative talent as the sets and costumes are perfectly hewn from the one palette. 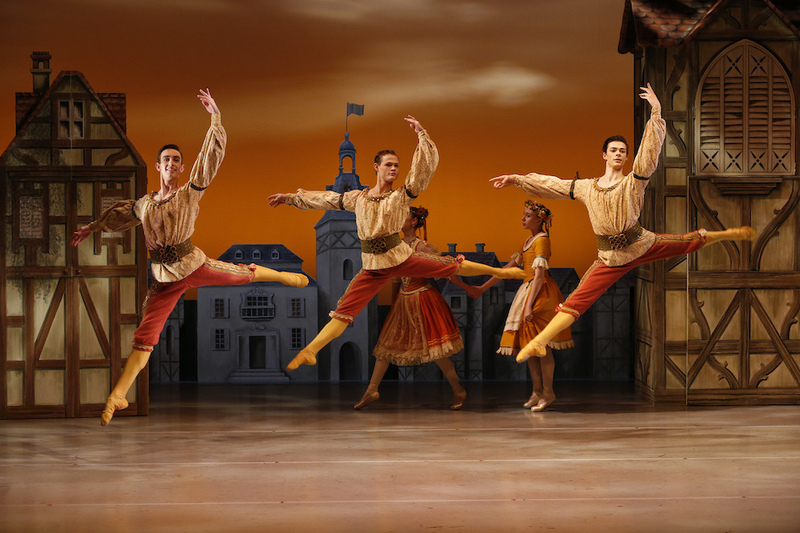 Tanya McCallin’s design features sheer ochre walls that seem to sizzle with heat, and the reds, browns and burnt citrus tones of the costumes have a patina of authenticity. 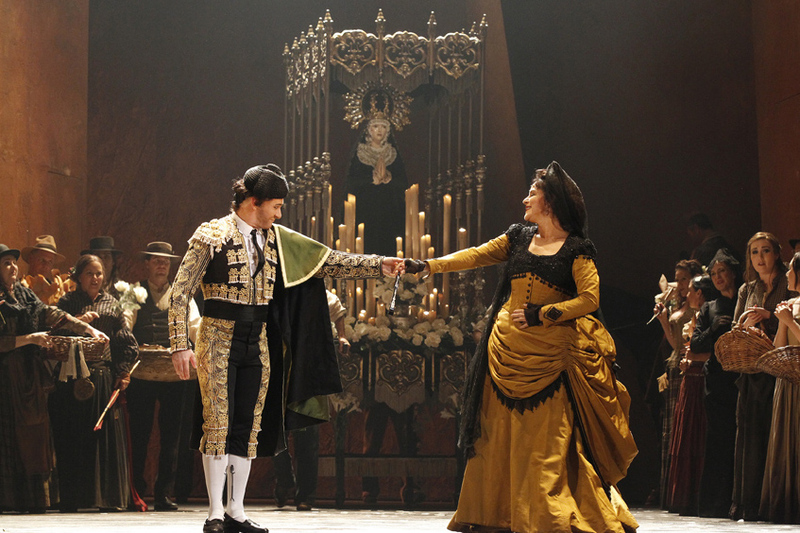 On par with the experience of Irina Dubrovskaya in this season’s Rigoletto, leading lady Nancy Fabiola Herrera lists previous performances as Carmen in 12 world cities. 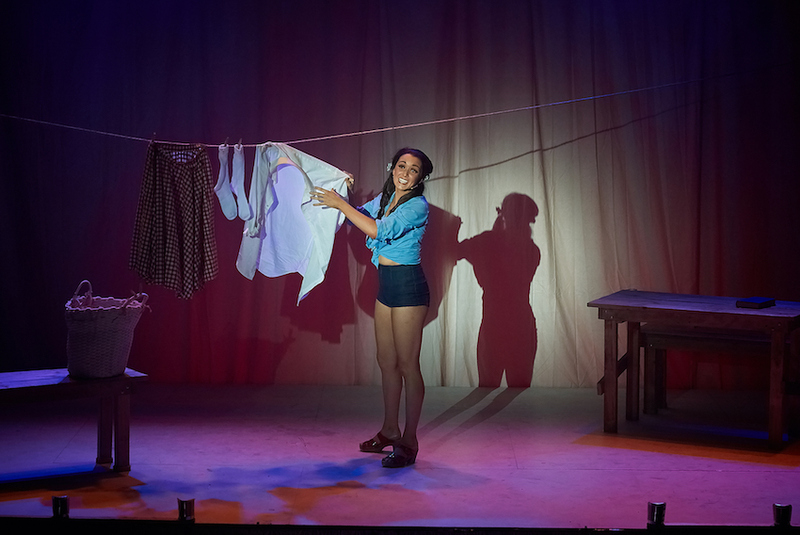 Projecting a joyful, confident tone, Herrera lights up the stage, generously complementing the work of her co-stars with no attempt to overshadow them. Herrera’s deliciously fruity mezzo-soprano voice is comfortable in the full range of the score, and her flair for Spanish dancing and castanets adds another layer of enjoyment to her performance. Canadian tenor David Pomeroy favours the original characterisation of Don José as a gentle man swept up in a dangerous affair. While this is a little underwhelming at first, his progress through the character’s descent into deadly madness is well drawn. 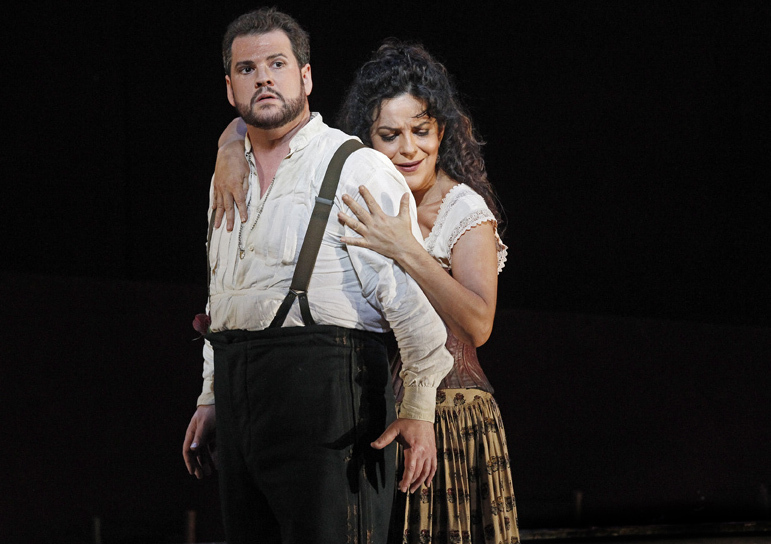 Indeed, act four’s fatal confrontation between Carmen and Don José is the most compelling sequence of the night, with Herrera’s distinctly human rawness being entirely believable at this point, making the ending feel all the more tragic. Pomeroy sings the role with ease, the only slight disappointment being the absence of any tender pianissimo singing in “La fleur que tu m’avais jetée” (the Flower aria), which he sang at full volume. Michael Honeyman brings a warmth and sparkle to flashy toreador Escamillo, making an impressive, and very game, entrance on horseback. This production really gathers some stirring momentum at the top of act two, which begins with whirling dancing from Carmen and ensemble members in “Les tringles des sistres tintaient” before really peaking in Escamillo’s “Toreador’s Song.” Honeyman is in excellent voice, and moves about the stage while singing with the flair of a music theatre performer. Young Artist Natalie Aroyan displays all sorts of promising potential in her attractive, natural soprano voice and her excellent stagecraft. If Micaëla’s chemistry with Don José is not quite there, it seems to be more to do with a lack of energy from Pomeroy. Who knew there was another young male singer as tall as Luke Gabbedy? Tenor Sam Roberts-Smith joins hard working baritone Gabbedy to play smugglers Remendado and Dancairo almost as identical twins. Their singing and energy are an asset to the production. Masculine menace pours forth from Christopher Hillier as corporal Moralès and Adrian Tamburini as lieutenant Zuniga. Bass Tamburini projects a particularly sinister characterisation as Zuniga. Jane Ede and Victoria Lambourn also feature in the slightly less showy roles of Frasquita and Mercédès. Presented each night, with alternating lead casts, Carmen will warm up Melbourne’s Arts Centre for the next week and a half. 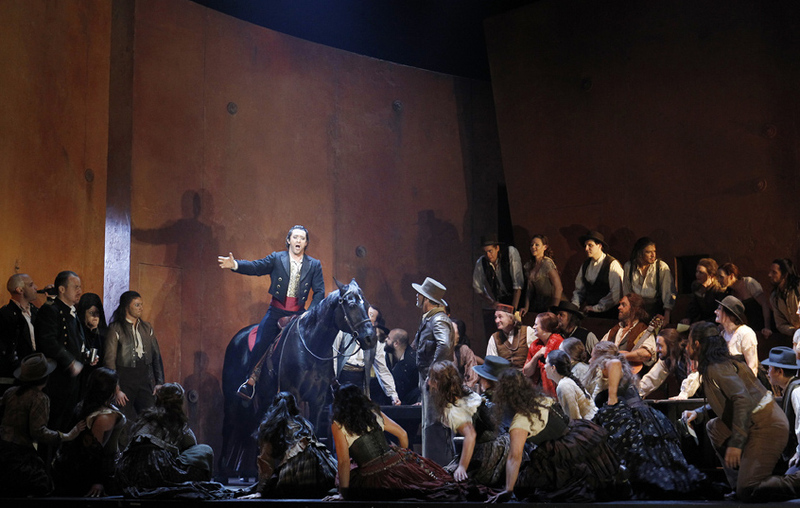 Carmen plays at State Theatre, Melbourne Arts Centre until 25 May 2014. 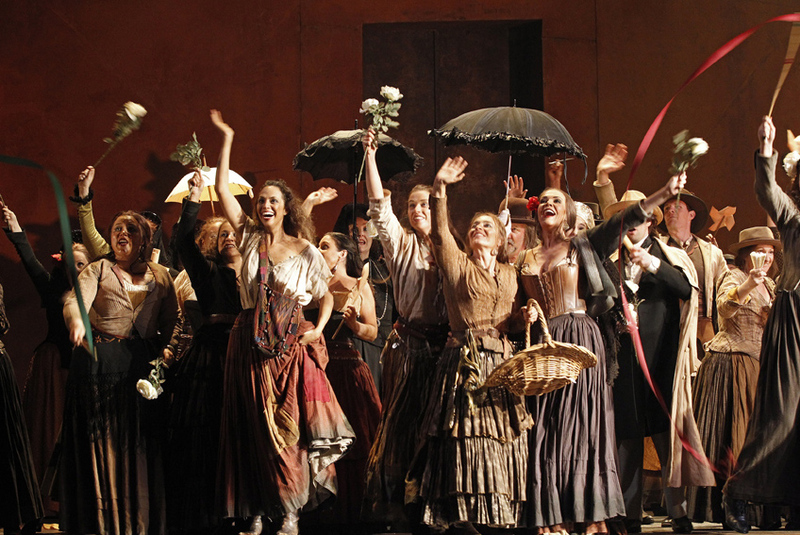 Man in Chair reviewed Roberto Alagna in this same production of Carmen at Royal Opera in January. Disappointing that again this opera is cast with three international artists overlooking fine Australian artists both here and overseas that would shine in this opera. Did the same thing happen with Carmen in Sydney earlier this year? Also, I have to say that I enjoy this production more than I enjoyed the HOSH version. (Performing the full opera helps of course.) How about you?